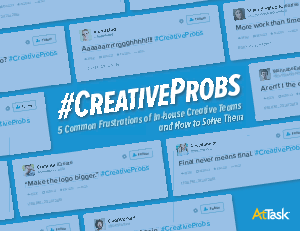 Real tweets from creatives reveal common frustrations we all share. If you work on a creative team, you’ve been plagued with late-nights, emergency requests, and revision after revision after revision. And after everything you do, you still don’t seem to get the respect you deserve. Get the ebook now and start proving the value of your creative team.